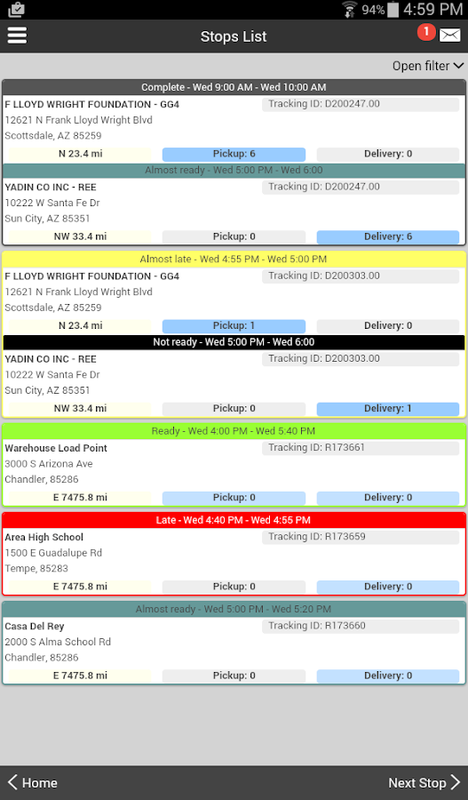 Nextstop Mobile is CXT Software’s all-new, easy-to-usesmartphoneapp that connects with X Dispatch. 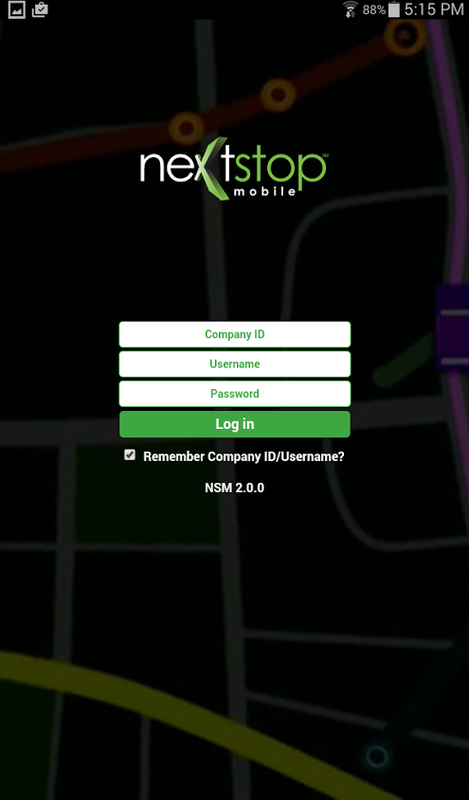 Nextstop Mobileincludes all thefeatures you would expect from a premierenterprise mobile solution,including stop-level details, GPStracking, signature capture,barcode scanning, real-time datatransfer, and so much more. With Nextstop Mobile, straightforward, intuitive workflowspromptthe user for the next expected action in each step of yourdeliveryprocess. Couple that with a familiar smartphone appexperience, andyou get reduced training time, increasedproductivity, and fewererrors. The bottom line: Your drivers remain focused on meetingyourcustomers’ delivery requirements. NEXTSTOP MOBILE REQUIRES AN ACTIVE ACCOUNTWITHCXT SOFTWARENextstop Mobile is CXT Software’s all-new, easy-to-usesmartphoneapp that connects with X Dispatch. Nextstop Mobileincludes all thefeatures you would expect from a premierenterprise mobile solution,including stop-level details, GPStracking, signature capture,barcode scanning, real-time datatransfer, and so much more.With Nextstop Mobile, straightforward, intuitive workflowspromptthe user for the next expected action in each step of yourdeliveryprocess. 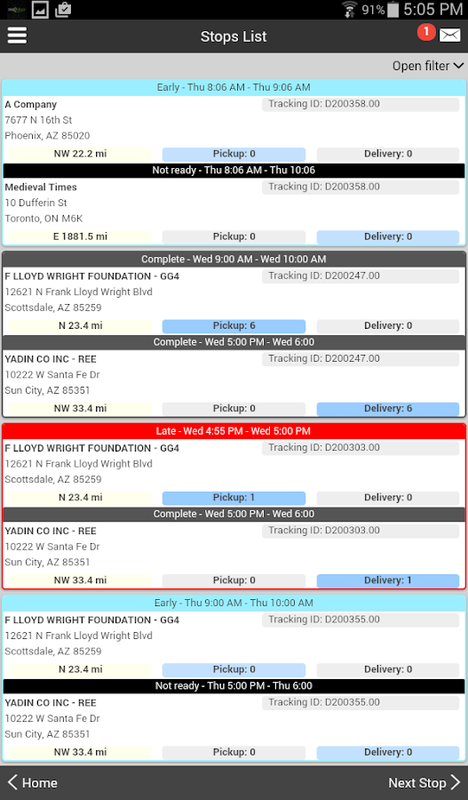 Couple that with a familiar smartphone appexperience, andyou get reduced training time, increasedproductivity, and fewererrors.The bottom line: Your drivers remain focused on meetingyourcustomers’ delivery requirements. Welcome to Nextstop Mobile!Nextstop Mobile is CXT Software's next generation mobile app fortransportation and logistics companies. Designed to work in tandem*with CXT Software's market-leading X Dispatch** courier softwaresuite as well as our upcoming Nextstop software for transportationand logistics companies, Nextstop Mobile provides step-by-stepworkflows for drivers, dock workers, and other mobile roles.With Nextstop Mobile Version 1.0, drivers can check in and out,view and map assigned stops, scan and deliver parcels, collectsignatures and proof of delivery, and photograph damage.Turn-by-turn directions, parcel lookup, and messages are a simpleclick away. Back at the dock, workers can quickly receive freight,look up specific parcels, and view the scan summary.What our customers are saying..."The streamlined driver workflow, easy access to turn-by-turndirections, and integrated camera barcode scanning willdramatically increase driver productivity." --Andrew Brady, Chief Operations Officer, King Courier, SanFranciscoImportant Notes:* X Dispatch, sold separately by CXT Software, is required inorder to use Nextstop Mobile. Contact [email protected] to getstarted! 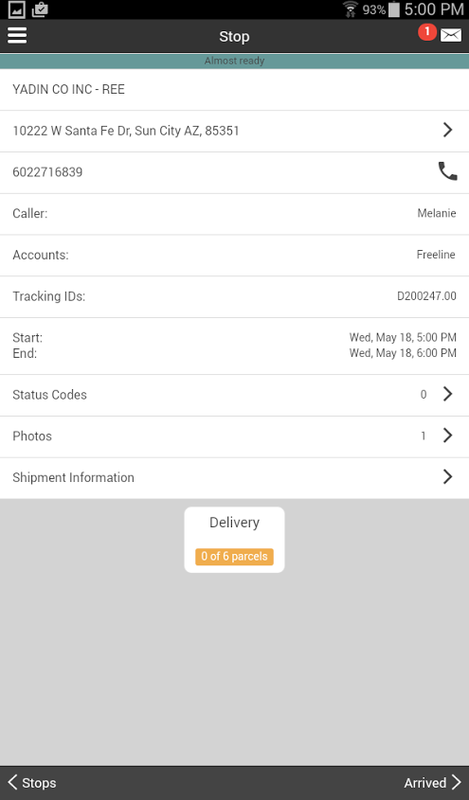 ** Not all mobile features will be available when using NextstopMobile with X Dispatch. The complete mobile featureset will requiretransitioning to the Nextstop product suite (availability TBD).Contact your CXT Software Sales Executive for details. NEXTSTOP MOBILE REQUIRES AN ACTIVE ACCOUNT WITH CXT SOFTWARE Foroptimal performance please keep Nextstop Mobile in the foreground.Nextstop Mobile is CXT Software’s all-new, easy-to-use smartphoneapp that connects with X Dispatch. 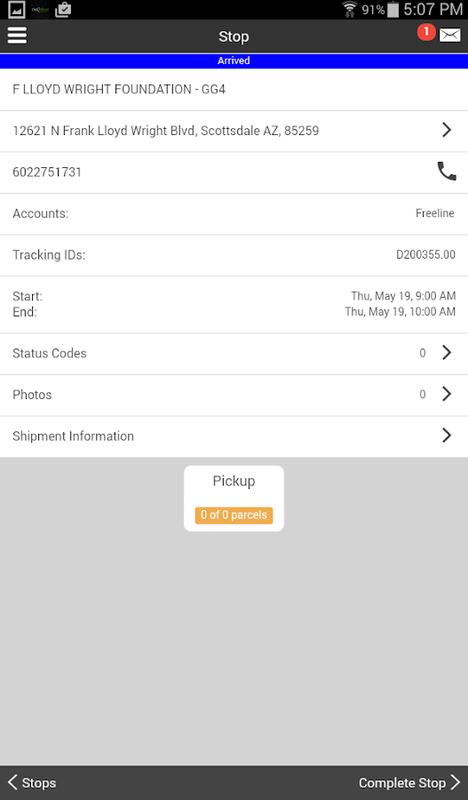 Nextstop Mobile includes all thefeatures you would expect from a premier enterprise mobilesolution, including stop-level details, GPS tracking, signaturecapture, barcode scanning, real-time data transfer, and so muchmore. 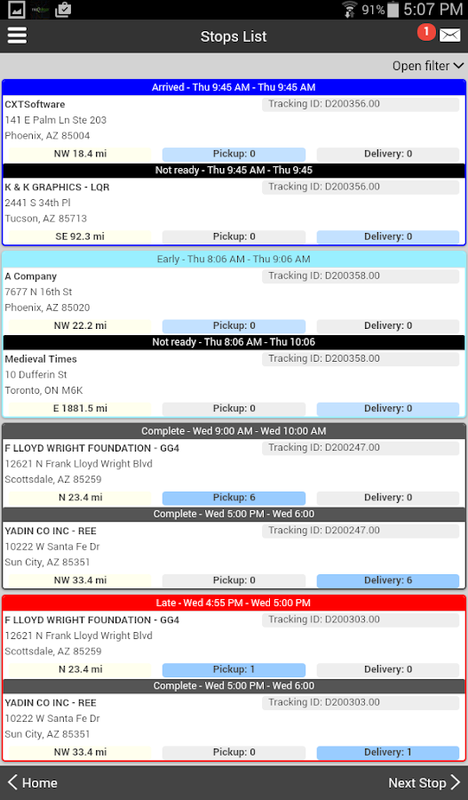 With Nextstop Mobile, straightforward, intuitive workflowsprompt the user for the next expected action in each step of yourdelivery process. Couple that with a familiar smartphone appexperience, and you get reduced training time, increasedproductivity, and fewer errors. The bottom line: Your driversremain focused on meeting your customers’ delivery requirements. Enhanced interface based on user's feedback and suggestions: -Intuitive look and feel and clear arrival time presentation withenhanced functionality; - Create, name and order your own favoritestops; - Better grouping of NEARBY stops; - New layout for Stopdetail with street map; - Integration with transit operator'swebsite, published schedule, interactive voice response (IVR) andtext messaging (SMS); - Redesigned local reminder/notification foreasy setup and removal; - Performance optimization; - Bug fixesFootnotes: 1) Real-time ETA is available for service vehicles thatare equipped with working GPS devices. 2) Stops must be serviced bytransit agencies that are using NextBus RTPI system. 3) WhereTransit agency is equipped with NextBus RTPI system. The Premier Mobile Courier Management Software SolutionWirelesslogistics and mobile delivery management software increasesaccountability, accuracy and profitability MobileTek is a mobilecourier management software solution that offers a uniquecombination of detailed scheduling, tracking, and deliverymanagement software, all in one driver-friendly and intuitivehandheld device. Working in tandem with Xcelerator’s dispatchsoftware and courier tracking software, MobileTek features BarcodeScanning, Signature Capture, Real Time Data Synchronization andmuch more for increased delivery efficiency.Key Software Systemsdeveloped this advanced courier software system from the ground upto work seamlessly with Xcelerator delivery dispatch software.MobileTek puts leading-edge technology –surpassing that of major,national delivery services—right in your employees’ hands.MobileTek courier software features Shared-Stops, GPS tracking andreal-time data synchronization. These wireless logistics softwaretools keep drivers moving through their day with valuableinformation available at every step to ensure all parties areinformed, all the time. Interested in a live demonstration? Contactus today at 732-409-6068 and we’ll show you what MobileTek dispatchsoftware can do for your business.High performance couriermanagement solution for the road MobileTek is an invaluabledelivery management software tool for carriers of all types, but isabsolutely essential for carriers delivering:Pharmaceutical andHealth Care Products (Cardinal Health, McKesson, and other)OfficeProducts (Staples, Office Max and others)Bank Assets The MobileTekpackage delivery software interface is easy-to-use and guidesdrivers through each stop to ensure that tasks are completedcorrectly and in the proper order. Drivers can select the next stopand then press the ‘Arrive/Scan’ button to begin scanning barcodes.It’s easy, efficient, and customizable!